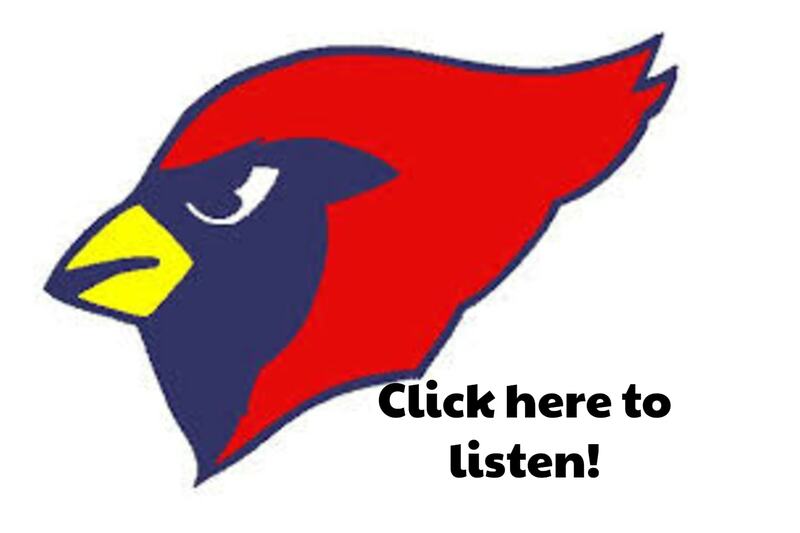 It wasn’t an easy Monday night for either the Big Rapids Cardinals (6-5) or the Chippewa Hills Warriors (3-7) but somehow Big Rapids came away with the victory, 48-43. Scoring only 16 points in the first half and going 1-20 from 3-point land, the Cardinals limped into the 2nd half shocked. The Warriors were up 25-16 with as strange a stat line as you’ll see. Chip Hills had 16 turnovers, hadn’t even attempted a 3-point shot, and were being out rebounded offensively 12 to 4. The Cardinals had 1 defensive rebound to the Warriors 16. They were shooting 5% from 3-point land and 18% from the field. Sharp shooters Jake Martinson and Sam Alley airballed multiple 3-point shots long. It seemed like the entire Cardinal unit would have had a better chance punting the ball towards the basket. But then came the 3rd quarter. Then came some true Cardinal heart and soul. Finding any and every way to score Big Rapids threw up 15 3rd quarter points to the Warriors 5 to go up 1; 31-30. The 5-point Warrior offense was less because the Warriors went cold and more because both Dorian Martin and Jayden Mason played one of the best defensive half’s of basketball you’ll see. Finishing with a team leading 14 points and 6 rebounds, Mason stifled and frustrated the Warriors at half court. Causing multiple turnovers including in 4 straight Chip Hills possessions. Mason compiled 4 steals in the effort. Martin finished with 5 points including a fresh and pure 3 pointer in the 4th. But Gucci was all about the defense in the 2nd half frustrating the Warrior’s Cole and Rogers who had a combined 16 turnovers between the 2 of them. Ironically on the offensive side, it was free throws that ultimately sealed the deal. The Cardinals shot just 11 of 18 from the charity stripe, but they hit them when they needed. The Warriors were spectacular at the line all night but went cold in the 4th. Chip Hills finished 17 of 28. They were 11 of 15 at half. In fact, in the first half the Warriors had 14 points in the paint. 14 plus 11 is the full 25. So why shoot 3’s when Kuzma and Frebes can run unabated to the hoop. For both sides it was ugly. But the Cardinals take the win and the Warriors have nothing to be ashamed. They came, they saw, and they very nearly conquered the Cardinals. 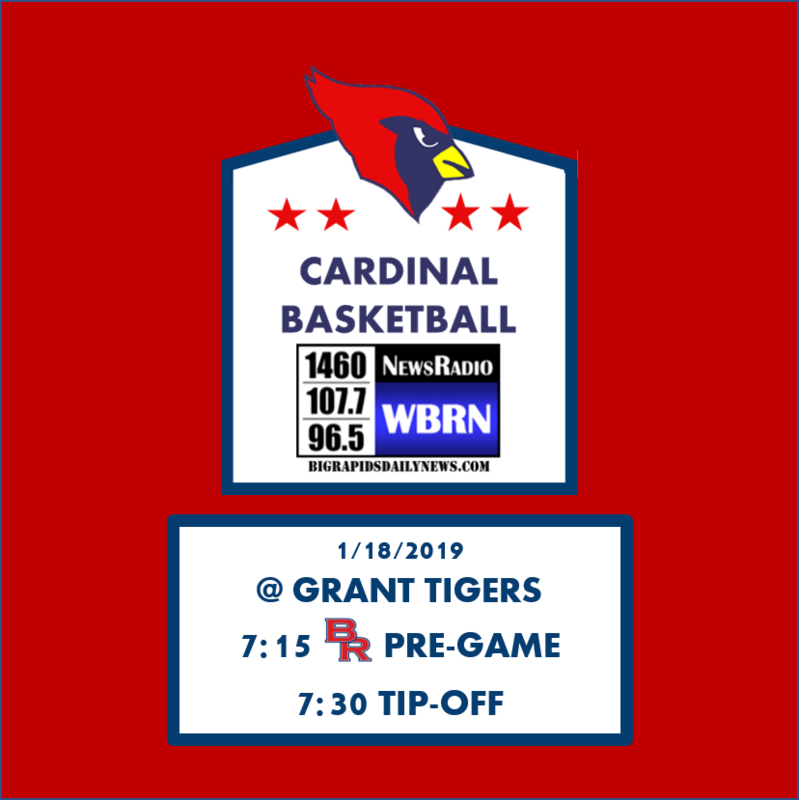 The Cardinals (6-5) travel to Orchard View (8-3) tonight in a Battle of the Cardinals. Tune to WBRN 1460, 107.7, & 96.5 for the play-by-play action with Bryan Fongers and J.T. Scarpelli. You can also stream the game via the Betten Baker Chevy Buick GMC Live Stream here!